Looking for a few really quick and easy ways to move toward zero waste and be little more eco-conscious? Try these 15 ideas to be a little greener, including a really simple DIY tutorial to upcycle an old t-shirt into a no-sew DIY drawstring bag. The thought of living an entirely zero waste life might seem entirely and ridiculously impossible. While not impossible, in today’s world, it would certainly be a pretty marvelous and arduous feat for most of us to tackle. But in a world with numerous overflowing landfills and oceans being flooded by waste, reducing the amount of trash we generate just by small increments could make a really big impact. 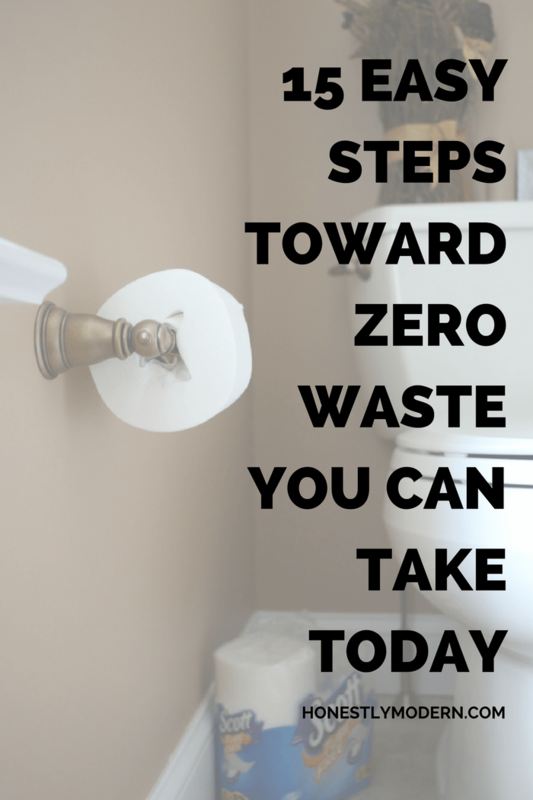 I’m not suggesting that you (or me, for that matter) should strive for perfect zero waste. Some eco-aficionados might suggest that, and it works for others. But for me, and probably for you, that’s just not in the cards right now. Let’s talk, though, about simple ways we can all reduce our waste footprint. What if we all produced just 5 – 10% less trash? That would be a really big deal if everyone made such an effort. I’ve read several books and articles about zero waste and listened to podcasts and interviews with zero waste experts. I’m not an expert, but I’ve learned enough to know that there are some simple changes we can all make in our daily lives (for not a lot of time, money or effort) that can have a big impact on reducing the trash for which we and our families are responsible. First, it’s helpful to think about zero waste beyond just producing less trash. 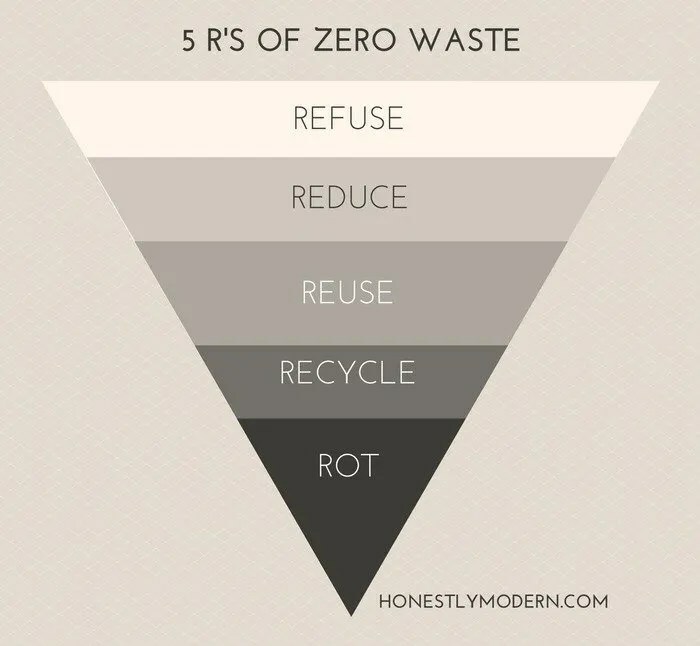 Many zero waste experts talk about a hierarchy of the five R’s: Refuse, Reduce, Reuse, Recycle and Rot. Starting from the top, each level of elimination is more powerful than the levels below. Most of us tend to focus on recycling. While this is a really great option, it can take a fair amount of resources to recycle something into a new material we can reuse again. It’s better if we refuse it, reduce it or reuse it first. Lastly, letting food or other compostable items rot is great for the soil and allows items to rot more efficiently than when they are among trash in landfills. As I mentioned above, we aren’t all going to get rid of our trash cans anytime soon. But making a few small changes can go a long way. 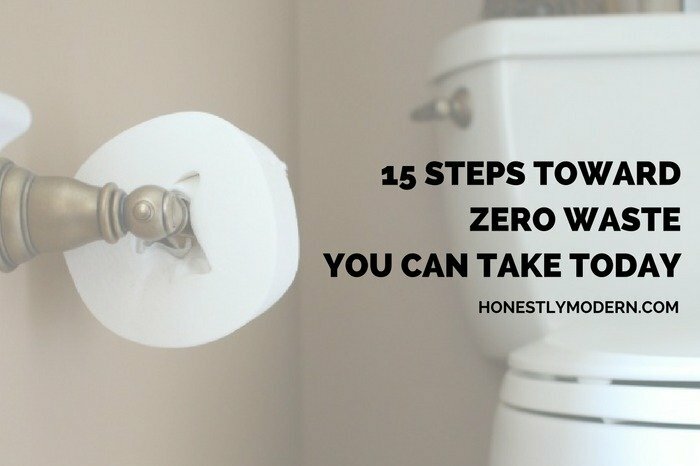 I’ve included below 15 Easy Steps Toward Zero Waste You Can Take Today that each require minimal time, effort or money. I encourage you try at least a few, if not all, of the following, in the next few days (or weeks) to see what big impact your little steps can have. 1. Use Recycled, Plastic-Free Toilet Paper– I’m starting with the simplest change you can make. Who Gives a Crap has dedicated their company to making eco-friendly toilet paper with a cause. You can read more about the company, as well as a handful of other eco-friendly bathroom ideas, in this related post about Easy Swaps For a Cleaner and Greener Bathroom. 2. Put Junk Mail to Good Use – Something as simple as the back of an envelope can make really great scrap paper. You can use it for to-do lists, grocery lists, or even drawing paper for your kids. I have a small drawer in my kitchen where I keep scrap paper and such that makes it easy to store, simple to find, and out of the way. Depending on the type of material, I sometimes put the junk mail in my compost bin as well. 3. Reuse a Cardboard Box to Hold the Scrap Paper – If you don’t have an extra drawer in your kitchen, you could always use a cardboard box in which something the size of shoes, a shirt, or sheets, for example, was sent. 4. 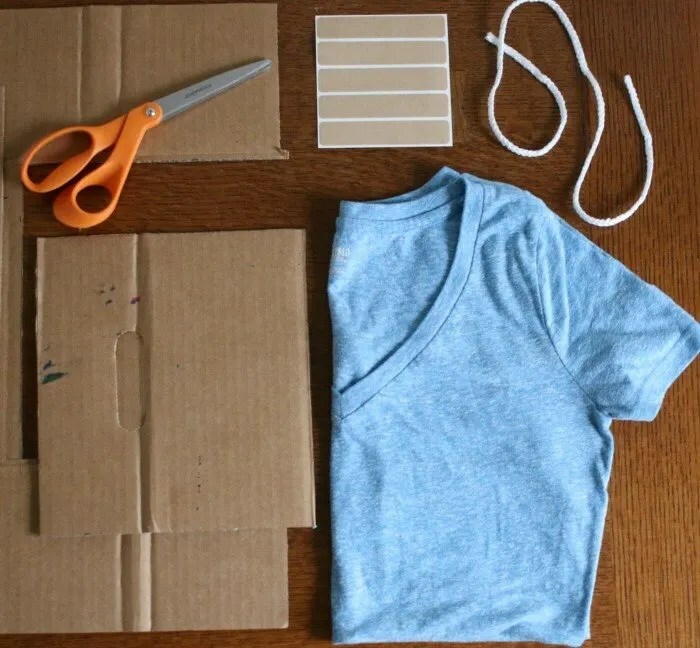 Turn Old T-Shirts Into Rags – Pinterest has about a billion reuses for old t-shirts, some more complicated than others (and I’ve got another down below to add to the collection). But the easiest way to reuse old t-shirts is simply to cut off the hems and sleeves and use them as rags. This also can reduce the amount of paper towers piling up in your trash can if you transition to rags from disposable paper towels. 5. Drop off Old Clothes at a Textile Recycling Box – Only a small percentage of donations made to thrift stores end up on the shelves for resale. Most items are not in good enough condition to be resold. If your clothing, specifically, is in great condition and someone else might really be willing to pay for it, by all means donate it (or consign it or resell it). But often times, our clothes have holes or stains that make it unlikely someone else will spend their hard-earned money to make it their own. Textiles (like clothing and sheets) that are no longer in great condition can be donated to textile recycling facilities that turn these things into furniture padding, linings and insulation. 6. Send Paperless Invites and Holiday Cards – Admittedly, this one is kind of hard for me (at least with respect to holiday cards). In recent years, I’ve wavered back and forth about sending paper holiday cards due to the environmental impact and the excess cost. Some years we sent them and others we didn’t. But I really like receiving them from other people, and email cards just don’t always have the same sentimental value. I haven’t decided when I’m going to do this year, but I wanted to include this as an option. Birthday and party invitations can also be sent via online invitation services (or even a simple email). Especially as it relates to the party, the guests will be more concerned about having fun and spending time together at the event than the nature of the invitation that got everyone together. 7. Use your Phone for Grocery Lists, Electronic Coupons and Calendar Reminders – While not true for everyone, I think this is just easier and the environmental benefit of less paper and waste is a bonus. I’m pretty much lost without my phone. I forget anything that doesn’t pop up on my calendar reminders. And if it’s not on my grocery list, there’s no way I’m remembering it. If you can find a system that works for you, ditch paper and bring all your reminders and lists together on your phone. 8. Reusable Bags and Containers – Whether it be bags for shopping, lunch box containers, or leftovers in the fridge, consider reusable alternatives. There are tons of options on the market, so pick what suits your needs best. While we lived in Chicago, the city banned plastic bags at grocery and other stores, so I got in the habit of (almost) always bringing my own bags. Inevitably, I forget sometimes, so I leave reusable bags in my car or stroller so they’re available when you need them. Try leaving a stash in your car and see if that helps. I think reusable bags are much easier to carry and hold a lot more too, so it’s a win-win for both the environment and my shopping experience. Store-bought reusable bags and containers are always an option. But you can make your own and it’s really, really easy (keep scrolling to see how). There’s no sewing, no stitching, no mess. You probably don’t even need to buy fabric. Since moving to their new school in Philadelphia, we’ve had to send our boys’ lunches in brown paper bags (for a host of reasons that make sense but aren’t worth discussing here). I really wanted to ditch the brown paper bags that ended up in the trash or recycling every day. So, I made something myself. In 18 minutes (yes, only 18 minutes), I made these upcycled DIY no-sew drawstring bags from a t-shirt I no longer loved. From shirt to lunch sack, I’ve provided step-by-step instructions to make the upcycled drawstring bag with an old t-shirt, scissors, a string, permanent hem tape and cardboard (which is optional). The details are down at the bottom of the post. 9. Use a Compost Bin – If you have a garden or yard, you can make your own compost and use it yourself. If you don’t, some cities offer compost pick up or shared, public compost bins. Maybe your neighbor composts. How to compost and all the options available probably require an entire series of blog posts in itself Guess what?! I’ve got that right here for you. 10. 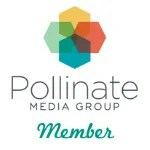 Use Your Local Library – Collaborative consumption in any sense is a great way to reduce waste. We buy fewer things and throw away fewer things. When we’ve tired of something, it finds a new home with someone else. I’ve heard many people tell me they aren’t comfortable using their local library. If you’re a little gun shy about checking it out, consider these tips about How To Make The Most of Your Local Library. 11. Borrow From Friends and Neighbors – This won’t apply across the board, but it can be really useful for saving money and saving space when it comes to things we don’t use very often. Consider things like snow blowers, suitcases (if you don’t travel regularly), and power tools. If you’re having a party, maybe you can borrow plates and cups or decorations and games to ensure you have enough for everyone without having to buy new or disposable options. 12. Buy in Bulk – Not all stores allow customers to bring their own containers, so you may still have a brown paper bag or other container in which the bulk purchase is stored and weighed. If you have an option between paper and plastic, choose brown paper bags. Then at least the bags are recyclable and the number can be written on the bag instead of added on a twist tie. No matter if you use your own containers or those of the store, bulk purchases still often result in less packaging overall and more recyclable packaging than traditionally packaged alternatives. 13. Buy and Sell Clothes on Resale Sites – I’ve written about my appreciation for secondhand ad nauseam, but it’s worth mentioning on this list because it’s an increasingly easy and mainstream way to significantly reduce waste. Clothing and textiles are a major problem taking up exponentially more of our landfills each year over the last several decades. Extending the lives of our clothing by buying and selling secondhand not only saves money, but also helps reduce the loads of clothing ending up in the trash. 14. Refuse Excess Plastics and Packaging – Next time you’re out to eat or at the store and only buy one or two things, consider if you really need the straws, all those extra napkins or the plastic bag to carry something that fits in your arm or your purse anyway. These things might seem small, but every little bit adds up, especially if we’re all making small changes. 15. Shop Local – A lot of packaging and waste goes into transporting products around the country and the world. Where possible, consider shopping local shops and vendors. Hit up the farmers markets (and bring your own bag). Best of all, consider if your friends and family can provide goods and services you might otherwise buy elsewhere. Remember when I shared about this easel my friend built for my boys? Not only was it far less wasteful to have her make it (with primarily supplies she already had on hand), but it also wasn’t wrapped up in all sorts of packaging and boxes to make it’s way to me via a delivery service. Now, I have a completely unique, handmade gem for my boys that has a whole lot more sentimental value than some generic easel I could have purchased from a big box store. I know shopping local won’t always work, but it’s a much more fun and exciting way to shop when it makes sense. Hopefully you find a handful of ideas on this list that resonate with you and you can implement today with your family. They certainly aren’t all for everyone, but if we all just make a few small changes, like buying toilet paper without tubes, our waste levels will meaningfully decrease. Click through to see the detailed tutorial for the DIY No Sew Drawstring bag made from an upcycled t-shirt. Looking for more ideas to reduce waste? Check out these 8 Pretty (and Less Wasteful) Solutions for Holiday Wrapping and find out if In-Store or Online Shopping is Better For The Environment. That’s perfect, I am going to make a few of them, however I am going to sew them. Thanks a lot. Glad you found this helpful! Thanks for the note. About the tubeless TP. The brands that make tubeless generally are 2 ply very fluffy – in other words they use a lot of fiber, adding bulk to the product. I found that the 1 ply tissue I buy lasts about 5 X as long and I can either repurpose the tubes (sock organizers, cut in half and used in the Garden to keep cut worms from gnawing down seedlings in the spring, etc.) In my estimation it would take 5 packs of tubeless to equal one package of my 1 ply… that equals less plastic & less trips to deliver mine to the store from distribution- so less gas, too. That’s a good point Mrs. P that there are definitely different considerations besides just the tubeless vs tube. In my experience, sometimes the 1 ply provide a different experience than the 2 ply (but it could certainly depend on the brand I bet), so I suppose it depends on the users preferences. But I definitely agree that you’ve got some great ideas about how to make TP usage closer to zero waste. Thanks for the suggestion! I agree. There are lots of uses for the tubes & they are biodegradable. I’m more concerned about the plastic wrapping they use so we can see the tp inside the package. I think it would be better if they used a paper bag. Thanks for the note Laura. I have seen the paper wrapped alternatives in my stores but they always seem to be in single rolls, so I guess I overlooked them (and they often seemed to be the kind that’s much less comfortable). But now that you mention it, I’m definitely going to take another look next time I’m shopping. Like many of us, my movement toward less waste is definitely in process, and I feel like I come across a new idea everyday. Thanks for leaving a comment as I’m always open to new ideas! Why not just use the hem of the tshirt for your drawstring? 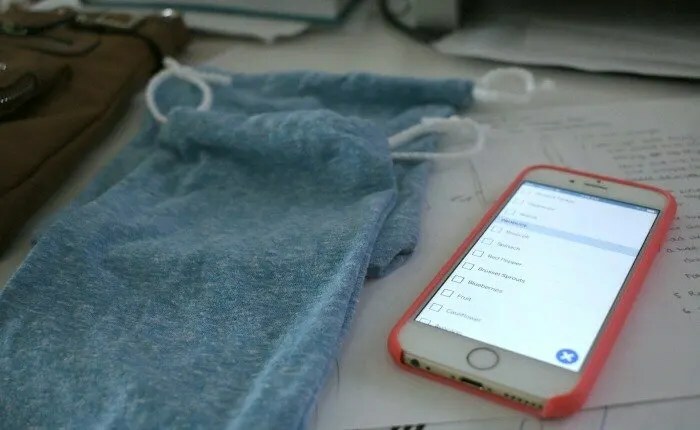 Sew the sleeves at the armholes and put drawstrings in the sleeves hems for two pockets insid the bag (for parking meter or laundry change…or for smaller fabric produce bags). Then sew up the neck to be the bottom of the bag! No scraps left over! I’ll have to try this Sioux. I have used the hems as drawstrings before (when I made these bags: http://www.honestlymodern.com/maybe-the-single-best-potty-training-trick-ever/) but it sounds like it wasn’t quite as efficient as your idea. I definitely have lots of t-shirts in my upcycling fabric bin, so I will keep this in mind for my next project. I feel like I’m using small bags all the time, so having a few more is always helpful. Appreciate the note and thanks for stopping by!